Corpus Christi Garage Door Repair services Driscoll, TX and the surrounding communities for all their garage door repair and installation needs for both residential and commercial customers. When it comes to your overhead door, there are a lot of factors that go into contributing to its strength and durability. There are plenty of things your garage door does that require strength, and we went through the performance challenges that they are put through each day to show you about the things you probably don’t even consider. With some insight from our team, we hope you’ll have a better understanding of how important it is to make sure you have a quality garage door that our professionals install—and you might not even look at these doors the same way again. First, take a moment to think about the following. Every day, your garage door works hard, and most of us don’t even see it. Consider how many times you’ve heard a ball bouncing off the exterior of the door. Did you know it regulates the temperature inside your garage, keeping the cold and heat outside? Or, that it prevents burglars from being able to use it to gain access into your home? 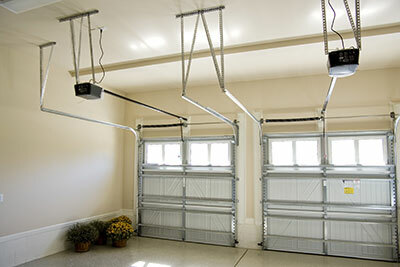 And, that your garage door stands up to high winds, blowing rain and other weather extremes? 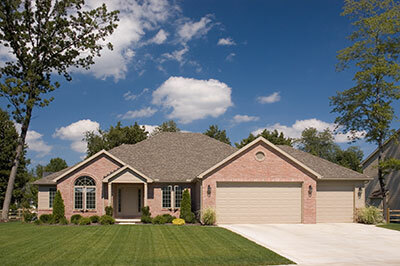 The average garage door goes through 25,000 open/close cycles in its lifetime. That’s the equivalent of the door hiking Mount Everest’s 29,000 feet a total of 5 times. The amount of the sun’s ultraviolet rays that hit the door each day equals the same amount of energy required to cook a whole turkey. Over 25 years, that means your garage door withstands the same amount of energy as that found in 55 gasoline barrels, and it never stops shining. There’s no doubt that all these facts and figures have helped you realize the importance of your garage door, especially one that seals out the weather and has good insulation. If you want the best performance, consider an option with polyurethane insulation. This will make sure the interior is protected from the heat and cold outdoors, and it will also reduce the amount of exterior noise you hear and provide increased resistance to bending. An important component to your garage door’s strength is its springs. With both the torsion and extension systems, the springs serve as counterweights to the actual weight of the garage door. The springs serve to reduce the weight of the door as it is being opened to 3.5-4.5 kg (8-10 pounds). This is why, if you need to lift the garage door manually, it is not difficult. Usually, you can expect to get 5-7 years of use out of a 10,000 cycle door spring. 10,000 cycles might sound like a lot, but when you consider the number of times in the run of a day that you open and close your garage door, it adds up quickly. We also have double-life springs that will last 20,000 cycles. With a torsion system, the spring is attached to a tube, which in turn is attached to a drum. The drum’s purpose is to wind the lifting cables. The cables are affixed to brackets that are located at the bottom of the garage door. When the garage door is closed, the lifting cable is wound tight, something like a guitar string. With an extension spring system, things are interconnected in much the same way. The only difference is that there is no tube.